Steven Nyman (Sundance) nailed his second downhill podium in a row Saturday, snagging second place in Chamonix, France. The light was flat on the hill, but Friday’s heavy snow let up and left the track in clean condition. A ski Mecca, as the racers have been calling Chamonix, it was the first Audi FIS Ski World Cup race series in the location in four years. Nyman showed his strength as a glider, skiing well throughout the course. 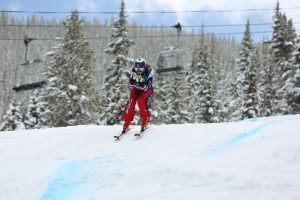 Despite being a little wild in some sections, he was able to harness his power to ski into the finish in first place. Dominik Paris was able to sneak past him to take the win, while Beat Feuz of Switzerland was third. "I skied well for the most part. I had a mistake on the first split and was a little wild through a couple splits," said Nyman. "I let the skis keep going — hats off to my technician. He prepared some rocket ships. I’m good at tucking, so I had a great bottom." It was Nyman’s second podium in two weeks, having taken third in the Jeongseon World Cup, a 2018 PyeongChang Olympic test event. "Two podiums in a row is great. 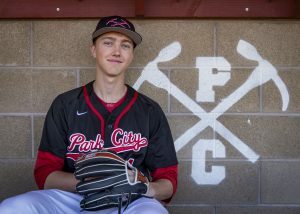 Hopefully I can keep it rolling through the end of the season," said Nyman. "I had a rough start of the year — had some questions in my head. When you have those doubts and those questions, you’re never fully sending it down the hill like you should. I answered those questions with training." Behind Nyman, Andrew Weibrecht (Lake Placid, New York) was the only other American to finish in the points, taking 18th. Jared Goldberg (Holladay, Utah) was 33rd, Wiley Maple (Aspen, Colorado) 38th, Marco Sullivan (Squaw Valley, California) 39th and Bryce Bennett (Squaw Valley) 49th. The speed team has a couple weeks off before traveling to Kvetfjell, Norway, for downhill and super G in March.